Panaji, Nov 11 (IANS) A day after suggesting that ailing Goa Chief Minister Manohar Parrikar needed to be replaced, Union Minister of State for AYUSH Shripad Naik on Sunday retracted his comments saying that Parrikar was handling the state administration efficiently. Naik had told reporters in Panaji that due to the Chief Minister's prolonged illness, replacing Parrikar was a "requirement" and that the change could happen "today or tomorrow". "Even though the Chief Minister is ill, he is handling administrative affairs well. Therefore, there is no need for a change in leadership. If such a need does arise, the party will take a decision," Naik said in a statement. Naik said that his comment on leadership change in Goa was "misinterpreted" by the media and that the question he was posed at a media briefing on Saturday was an "adventurous" one. On Saturday, when asked whether there was a need to replace Parrikar, Naik had said: "Change will have to be done today or tomorrow. It is a requirement. You know the Chief Minister's health is not good. But he is still working in this condition..."
Parrikar is suffering from advanced pancreatic cancer and has been in and out of hospitals in Goa, Mumbai, New York and Delhi for nearly nine months. He returned from New Delhi's All-India Institute of Medical Sciences on October 14 and has not moved out of his private residence for any official event since then. 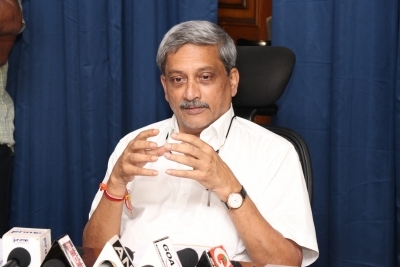 The Opposition and ruling coalition allies have been demanding the resignation of the Chief Minister, claiming that the administration has come to a standstill due to Parrikar's long absence.